Thank You for Another Great Book Fair! What an amazing Scholastic Book Fair we had this year. It was a great success! We could not have done it without your help. Thank you wonderful volunteers, students, parents and staff! Because of your generosity, our sales totaled $14,054.84 excluding tax. We can now purchase even more books for our library. I would like to thank the following parents for their help and support: Mrs. Eileen Press, Mr. & Mrs. Ruiz, Mrs. Janet Bruzos, Mrs. Litza Lopez, Mrs. Claudia Marquez, Mrs. Victoria Casas, and Mrs. Yra Saab-Tro. I could not have been able to do it without your help. I would also like to thank Coach Daniel Prol for his amazing role as "The Big Red Dog." The way he motivated the entire student body to get excited about reading was awesome. Thank you again for making our Scholastic Book Fair a huge success! 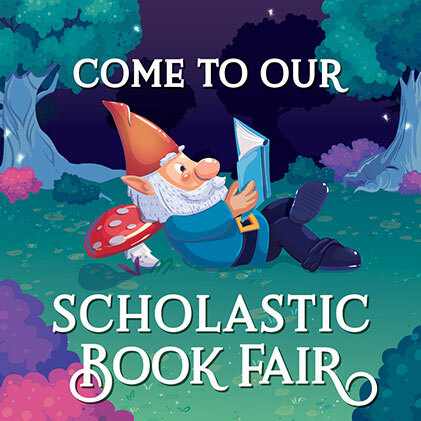 On January 14th, CEA will kick off the annual Scholastic Book Fair in the Alicia Espinosa Library in the Conservatory. Students will be coming to visit the book fair during school hours with their class. They should bring cash or a check made out to Conchita Espinosa Academy. The book fair will also be open to parents during the hours of 3:30 - 5:00 p.m. every day. During that time, credit cards will be accepted. Make sure to check out your teacher's classroom wish list to donate a book to your classroom's library. A sticker with the student's name will be placed inside the book for your teacher to remember for years to come. Last year's book fair was a great success! Let's keep the tradition alive!